Young Voices of Europe | Is UKIP Here to Stay? Like radioactive particles, radical political movements are inherently unstable. Organisations on both the far-Right and far-Left have a reliable tendency to implode just as they seem to be reaching the apex of their popularity, ripped apart by the conflicting imperatives of pragmatism and ideological purity. This has certainly been the case for the British far-Right since the 2007-8 crisis. The British National Party (BNP) won significant media coverage in the lead-up to the 2010 general election, but only managed to increase its share of the vote from 0.7% to 1.9%. In January this year, the BNP was struck off the UK’s official list of parties after failing to pay the annual registration fee of only £25. Similarly, the period between the 2010 and 2015 elections saw the rise and fall of the English Defence League (EDL) an Islamophobic group which plummeted after its charismatic leader, Tommy Robinson, publicly repudiated it in late-2013 (Robinson now leads the UK affiliate of Germany’s PEGIDA). But what about the United Kingdom Independence Party (UKIP)? Nigel Farage’s party is certainly a different political animal to the BNP or EDL; its heritage is not that of 1930s British fascism, but rather the nationalistic elements with the Conservative tradition that many feel have been side-lined in the party since centrist Prime Minister John Major signed Britain up to the Maastricht Treaty in 1992. However, from its roots as a mainstream (and intellectual) anti-EU platform, UKIP has grown into a broad receptacle for discontent with the political status quo. It won the 2014 European elections with 26.6% of the vote, becoming the first party since 1910 to beat Labour or the Conservatives in a nationwide ballot; in 2015, it jumped from its previous general election result by 9.5% to reach third place. Indeed, it was terror at the prospect of Conservative MPs and members being lured into the Eurosceptic clutches of UKIP that made David Cameron promise a referendum on Britain’s EU membership back in 2013. With only a single MP in Parliament and no representatives in the executive, UKIP has managed to force a public vote on its mostly close-held issue. But is UKIP too, at the moment of its greatest influence, soon to dissolve into in-fighting and irrelevance? It seems unlikely. For one thing, despite having become the natural home of former BNP and EDL supporters, it has managed to frame itself as much more moderate and now attracts increasing numbers of disillusioned Labourites and Conservatives. A critical mass of mainstream support will likely act as a stabilising influence on the extreme fringes, for there are plenty of UKIP voters who will accept no fascist grandstanding. For another, the present political climate is especially precipitous for parties of the radical-Right. Public alarm over the refugee crisis, which established politicians have proven themselves unable to resolve, only strengthens UKIP’s claim as the sole legitimate anti-immigration voice in Britain. And then there is the June referendum, for which the party has been lobbying for over two decades. If Britain does vote to leave the EU, UKIP can claim to have delivered the country from the dictatorship of Brussels, vindicated in its view that the majority of Brits were saddled with Europe by their political masters and have longed to escape it for years. But even if Britain votes to stay, the game is still rigged in the Eurosceptics’ favour: they will call foul play and argue that public opinion was unfairly manipulated by the pro-European establishment. Several commentators in the UK have voiced concerns about a repeat of the Scottish referendum experience, where a vote to remain in the union was followed by an immediate surge in support for the leading separatist party, one that has endured for over a year (the Nationalists are expected to increase their already vast majority in this May’s Scottish Parliament elections). Nigel Farage has managed to do what none of his fellow-travellers on the British radical-Right could; he has stabilised his party as a legitimate alternative to the liberal mainstream. For that reason, regardless of the referendum’s outcome, it looks like UKIP is here to stay. Download the article in PDF here. 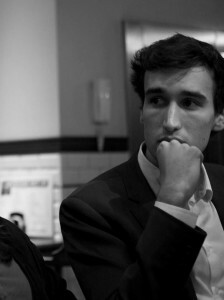 James Bartholomeusz (1992) is from the United Kingdom and is a policy officer at the Project for Democratic Union. This article has been categorized in Populism and is tagged wi EU, Nigel Farage, PEGIDA, UKIP.